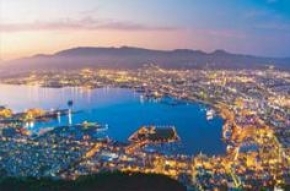 For $1885 nett per pax, you get a 7D6N Sapporo Package with 4-Star Novotel Sapporo or Sapporo Park Hotel or similar stays with Daily Breakfast, 1N at Shinagawa or Grand Pacific Le Daiba or similar stay, 2 Way Singapore Airlines Flight with Taxes and Coach Transfer (worth $2688). 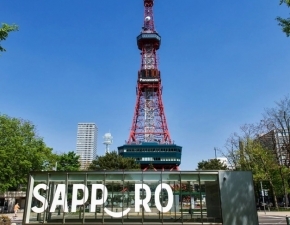 Novotel Sapporo is just a 5 min train ride from the busy city centre and is near tourist destinations like Sapporo Beer Museum, Mt Moiwa and Mt Okura Observatory. Spacious rooms feature amenities such as work area, bath and shower, internet access and TV. Novotel Sapporo has three restaurants and a bar to feed hungry guests. For a taste of French cuisine, head to La Provence for beef bourguignon and the likes, while Wana Hassoan serves up traditional Japanese cuisine. For a gourmet selection of fresh fish and high quality cuts of meat, try 21 Club. The bar on the top floor, Twenty-One offers a magnificent view of Sapporo while sipping cocktails and more. Sapporo Park Hotel is known by its distinct celdon-blue walls. Its stunning building overlooks and even more stunning Nakajima Park. Stay comfortably in their luxurious guest rooms that cater to a variety of needs. Rooms are modernly furnished and guests will find what they need around. The hotel has four restaurants catering to different tastes such as Italian, Chinese and Japanese. Nicely in between Haneda International Airport and the central business area, Grand Pacific LE DAIBA is the perfect place to stay for businessmen and their families. The highly placed rooms give guests an artistic view of the cityscape with rooms tastefully decorated furniture with hints of Victorian motifs. Hungry guests can fill up from 8 different restaurants and bar serving local and international cuisine. Elsewhere, keep busy at the fitness centre, beauty salon, pool and PC corner at your convenience. 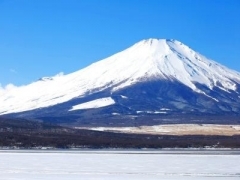 In Sapporo, enjoy the bustling city's modern technology and transport systems to get around. Head first to Odori Park, Sapporo's most famous to view its numerous flowers, trees and fountains all around. Set out picnic blankets and have a simple bento lunch while relaxing in the cool breeze. For more of Sapporo's scenic landscape, head to Moiwayama by cablecar to the summit for an unforgettable view of the city. Asahiyama Park, also located high above sea level, is a beautiful flower garden and is a favourite among couples, especially during cherry blossom season for its romantic feel. Spot local residents such as squirrels and foxes here too. Sapporo also has its fair share of museums. Check out Hokkaido Museum of Modern Art that holds regular exhibitions on the works and sculptures of new age artists. Or for a little fun, try visiting Sapporo Beer Museum. Free guided tours cover the history of beer in Japan and their brewing processes before tours end with a tasting session.Â Families with children may want to try Ishiya Chocolate Factory that comes complete with a view of the actual chocolate making floor. Located here is also a toy museum, holding artefacts of toys that were popular decades ago.